So I got to NY super early and ate lunch, then afterwards headed over to the hotel. I went with my mom so we just sat outside of the hotel for a while but it was still really early so after a while we decided to go look around in the shops nearby. We went into one, but when we came out we saw a limo going towards the hotel so we thought it might be him so we followed it, but it just drove right past the hotel. 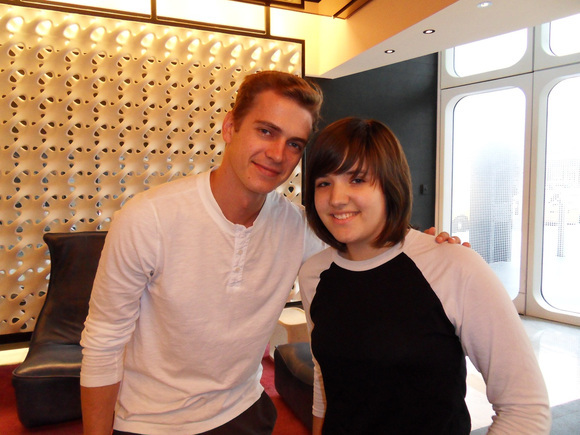 After that I was scared to leave the hotel because I thought I'd miss him or something! So then it started to rain so we waited in the lobby of the hotel. 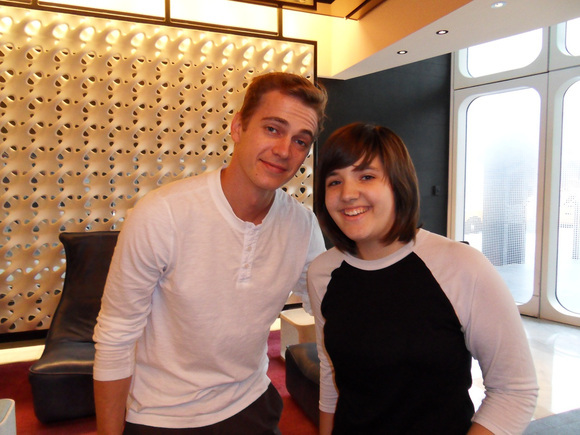 A ton of people were walking in and out and before long, Hayden walked right through the revolving doors! I didn't know what to do when I saw him, I hadn't really come up with a plan or anything and my mind was racing!